With the advent of the crossover SUV, the big boys are losing some popularity. Then again, maybe it’s the outrageous fuel prices that are putting a dent in the large SUV sales. In any case, SUV size has decreased in recent years. 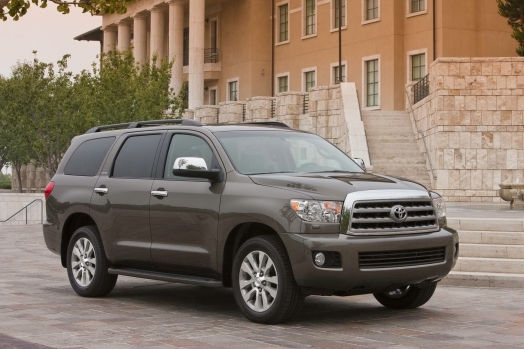 Finding a large SUV is becoming more and more difficult, let alone finding the best one. But for those of us who refuse to give in to the shrinking movement, we’ve done our homework at Car and Driver, Consumer Reports, Edmunds, and Motor Trend to find you the best large SUVs for the 2010-2011 model year. 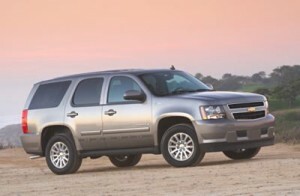 It’s not exactly huge on luxury, but the Tahoe displays no lack of size or strength in any other area. Its 5.3L V8 engine puts out 320 horses and 335 lb-ft. of torque, which can up towing capacity to 8,500 pounds when properly equipped. As good as the working strength is of this GM beast, its interior is where its real strength lies. It displays an attractive design and a tight finish, complete with fold-away third-row seats and a maximum cargo capacity of 109 cubic feet. The ride is cushioned and smooth, but being as big as the Tahoe is, handling is compromised as a result. It does, however, possess a 39-foot turning radius, which makes it much more maneuverable than it would appear. It is the prime example of what the large SUV started out as, and still is today. 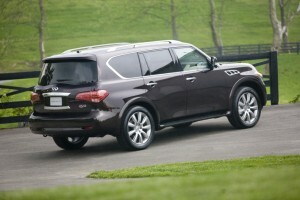 Not only is the QX56 a very large SUV, it’s also very powerful and very luxurious. Its 5.6L V8 engine pushes out 400 horsepower and 413 lb-ft. of torque. Towing capacity can match the Tahoe at 8,500 pounds properly equipped, but also features a tow/haul mode for the transmission and automatic rear-leveling suspension to aid in the cargo carrying. The interior thrives on features you’d typically only find in premium luxury automobiles and braking is astounding, bringing the 6,000-pound mammoth to a stop from 60 mph in just 123 feet. 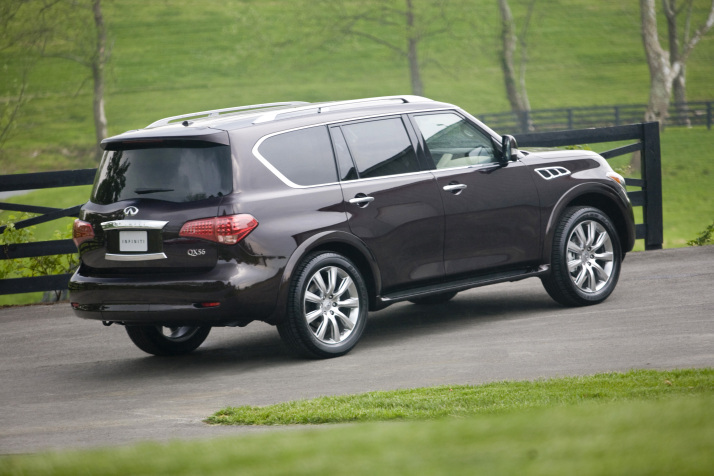 The QX56’s optional Hydraulic Body Motion Control eliminates the body roll that SUVs have become infamous for. The Sequoia is a large SUV with a personality disorder. Its driving dynamics exhibit anything but the huge monstrosity it displays. The 5.7L V8 has an overabundance of low-end torque, but even the 4.6L V8 performs adequately. Ride comfort can be scaled anywhere from smooth to downright heavenly. The interior displays an array of ergonomically-correct achievements. Seats are comfortable and roomy, and the Limited and Platinum models feature power-recline and power-fold features for rear seating. Cargo space can top out at 121 cubic feet, but towing capacity falls just shy of class leaders at 7,400 pounds properly equipped. Still, the interior of the Sequoia makes it worth the price tag. Being blunt, the LR3 was downright atrocious. It lacked power, comfort, and style. The newly-fashioned LR4 does an admirable job of fixing its predecessor’s array of flaws. The lack of power has been resolved by a 375 horsepower 5.0L V8, and Land Rover’s four-wheel drive system is one of the best in the industry. Towing capacity is respectable at 7,700 pounds properly equipped. As good as the power change is, the real achievement was in the redesign of the interior. It now possesses high-quality materials and cutting-edge technology. The only thing holding the LR4 back is Land Rover’s questionable reputation for reliability issues and an elevated price.